De-stashing now! It is my goal this year to at least be able to see the bottom of ONE of my yarn drawers again. I’ve been excited to see my stash shrink, combining all those lovely colours and knitting like a maniac, but… There is not even a tiny gap in my stash yet!!! How can that be? Nine months of yarn-shopping abstinence and more than 70!!! projects later, still no sign of white squinting through the yarn from the bottom of my drawers… It’s a mystery. 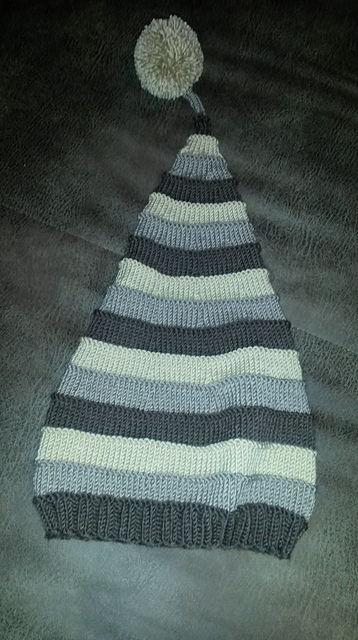 It’s not a secret that hats are one of my very few knitting addictions. Ehem. 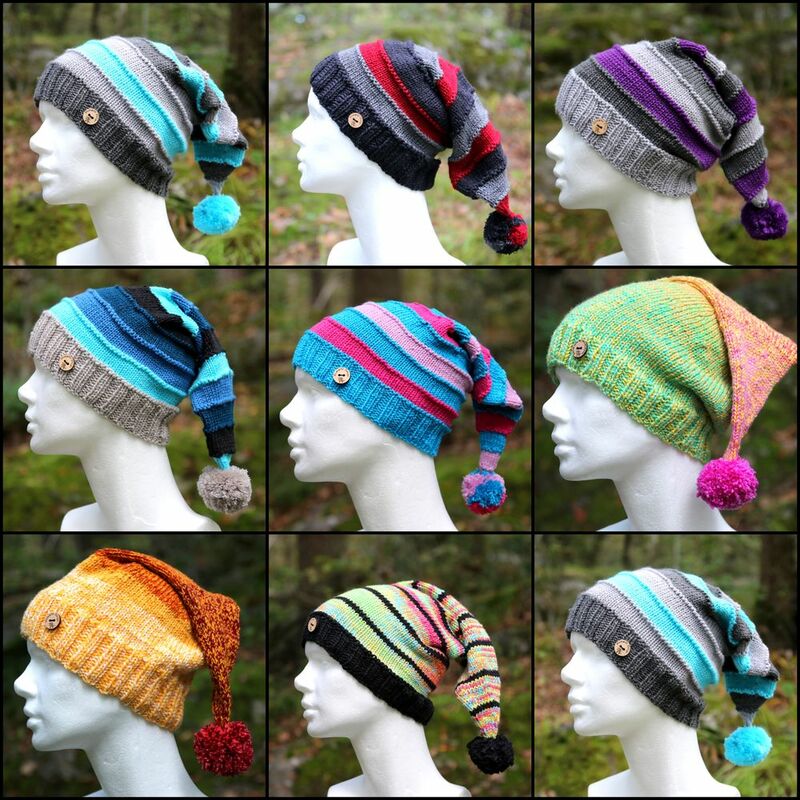 So I decided to grab my motivation by the ears and drag it to my DK closet, producing many lovely hats in squishy delightful colour combinations and for some reason they all turned out to follow the same pattern. It started with the usual excuse. Second: I want colour in their life (and mine). Third: I hate shopping clothes here in the land of H&M. Everybody has the same things and their stuff would easily get confused with everybody else’s. Conclusion: Not with these hats! So I came up with an easy and quick pattern that lets you combine any colours you like while using any yarn that’s in your stash. Can you tell that I like leftovers? First I toyed around with some ideas to find the perfect model that I would like to use. 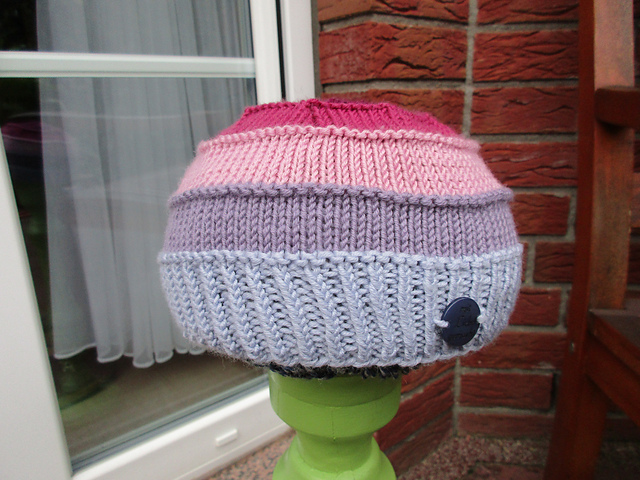 The round beanie made it close, but I thought that everyone has those, so I needed something different. 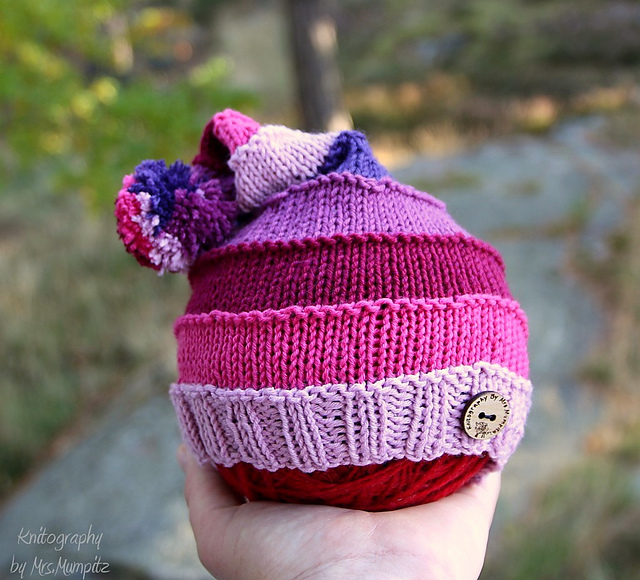 The jester hat was also a cute variation, but then I thought it would be nice only for babies, as my toddler would certainly loose it and adults might not be too much into this – Not everyone is a crazy as I am, I guess :). But the pointy style really got to me. 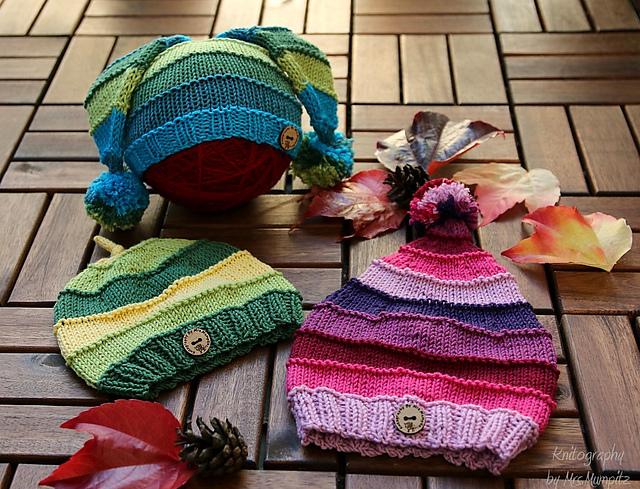 I like the fact that one can knit either just a small tip or make it a very long hat, that you can wrap around your neck as a scarf, too. As with most of my patterns, it gives you the choice of shaping it as you like. 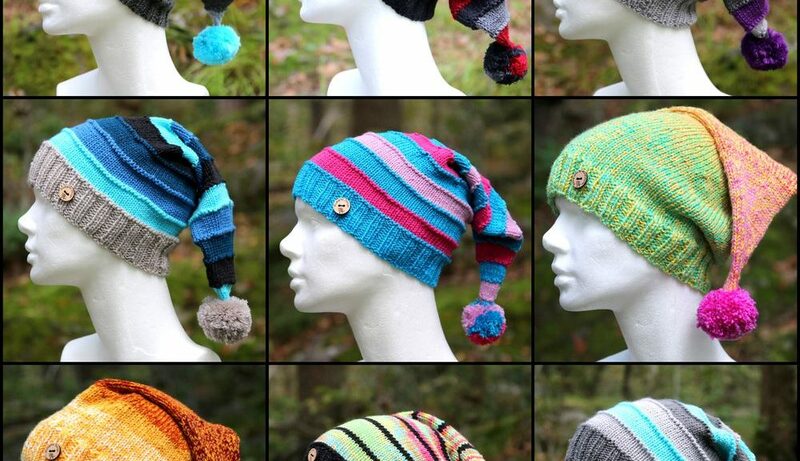 Here are some of the projects of my fellow knitters on Ravelry, following the same pattern. 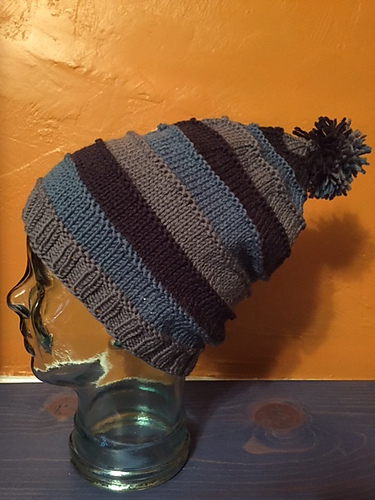 Have you made a hat from this pattern yet? I’d love to see it! how do you do the decreases for your long pointy hats? I just bought your pattern! Can’t wait to stash bust with it!! I recently found your blog/work- so talented, and so cheery! I will be looking through your blog the next moment I get to get lost in it!